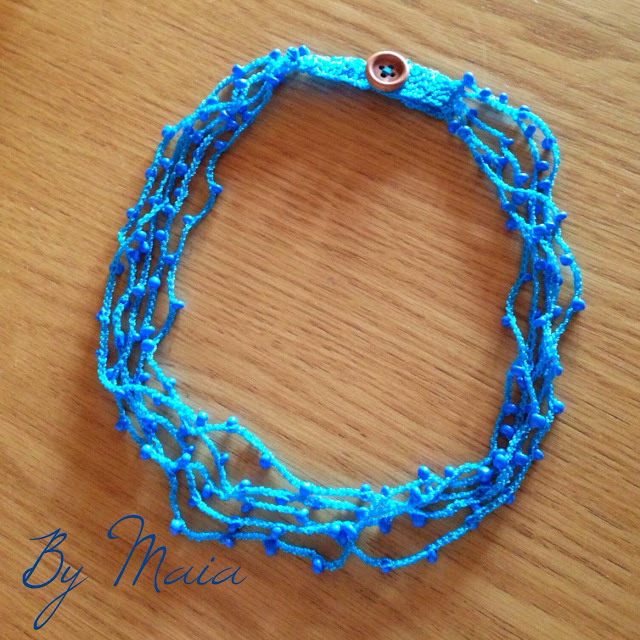 This is my first time working with beads, and it well quite well, so I'm happy to introduce you to my first crochet necklace with beads. 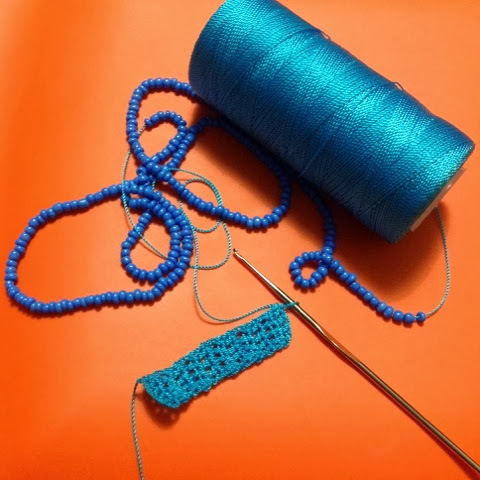 Then chain 5, grab a bead, chain 5 and repeat until you have a long long chain (6 times the desired long of your necklace). Divide your chain into 6 equal parts and grab them on the other side with 5 chains, make the other end the same way you started, with 10 rounds of 5 double crochets, make a button hole at the end. It really took me an effort to write this down in english, so if you have any recomendations please tell me.